A great introduction to the fundamentals of country bass playing. Covers root note and chord tone playing, walking lines and playing in all keys. 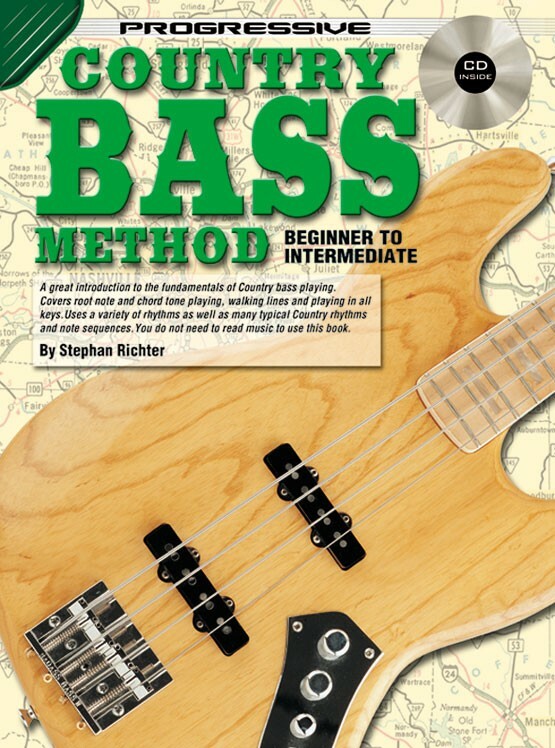 Uses a variety of rhythms as well as many typical country rhythms and note sequences. You do not need to read music to use this book.